First start by selecting your Partner (retailer/channel) at the top. By clicking on your product, you can edit specific fields. All missing data and non-compliant fields will be highlighted. 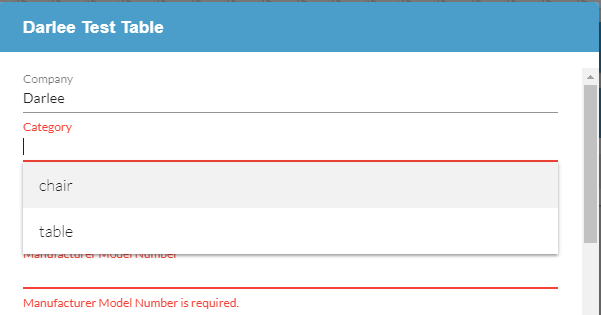 Fields with multiple options, will include a drop down for all available options. Once all items are updated to be compliant, you can send the feed to your retailer/channel; clicking SEND will process the feed. To automatically send your product content feeds to your channel/retailer; there are 2 options using an SFTP/FTP connection or API. For SFTP/FTP you can login to your Logicbroker SFTP/FTP directories by using your normal portal login and navigating to /Product/Outbound to upload your CSV in the required retailer/channel's format. Once the file is uploaded, you will still need to login in the portal (Products > Product Feeds) to review, fix non-compliant products, and send the file to the retailer/channel. For API integrations you can follow the steps in our developer documentation. Logicbroker can also support custom formats and integrations to your system. Contact us for more details on setting this up to your system.